That’s easy. The moment I believed in Jesus Christ. It happened in August I think, in my twenty-first year, at the beginning of my senior year in college. During my time at the University, I worked in the drafting department of the Steward Observatory, doing hand drawn ink renderings of various charts and graphs that the astronomers needed to accompany their articles in various publications. I usually had no idea what the charts and graphs meant, but I enjoyed the work and the paycheck. I shared a tiny office with a man old enough to be my father and who was in fact a grandfather. He was a dyed-in-the-wool Introvert. I like to say I forced him to give me the Gospel. That was back in the day when I was the rabid evolutionist, hardly surprising given my field of study which was a double major in Wildlife Biology and straight Biology. More than that, ever since the sixth grade I’d thought the theory of evolution was just the coolest thing imaginable. “Look at the way all these creatures line up! The progression is just obvious to anyone who wants to see!” (they never tell the sixth graders that the data simply does not support the theory, but that’s another matter and maybe another post). In any case, I thought I knew all I needed to know. I was quite smug about it, as well. Not just about evolution, but about religion in general. I remember telling my mother several years earlier during one of our “religious” discussions (she was just getting into reincarnation) that I didn’t see how religious types could hold to the views they had because clearly no one was really bad enough to deserve going to hell (I lived a somewhat sheltered life) but at the same time, no one was good enough to go to heaven, either. I had it all figured out, yes, indeed. Well, that particular summer, when I worked in the Steward Observatory Drafting Department, I conceived the notion that I would reconcile the Bible’s account of “Creation” with evolution. Right off I discovered where the Bible went astray — it had God creating the plants before there was any sun! How could plants live without light from the sun. See? Ridiculous! I spent a lot of time going on about all this with my associate, whose name was Dave. He bore with me patiently, mostly just asking questions — I don’t recall any arguing — but later he told me that we could talk about God and the Bible and creation and evolution and the church and so forth but the moment he mentioned Jesus Christ it was like the cookie jar lid slammed shut and there would be no more discussion. Even so, I kept reading the Bible, using one of the study booklets he gave me. It made no sense to me. I would read the stuff, but it was just… inscrutable. Still, I felt as if there was something there, and kept with it. It was weird. I also read The Exorcist and in the middle of reading it one warm windless day (we had no air conditioning or even swamp cooler so the windows were open) I came to a really creepy part involving demons and suddenly, in perfect timing to what I was reading, a cool wind rushed through the window. It totally creeped me out and I wondered if maybe there really were demons. Then, about two weeks before my fateful appointment with Jesus I was confronted by a strange guy on the steps of the UA Student Union. He was friendly, if a little weird, had a clipboard, asked me if I was satisfied with my life and myself, and if not, would I like to take a personality to test to find out how I might improve things? He reminded me of those cartoon people with the spiraling circles in their eyes. Even so I thought the personality test might be fun. He made an appointment for me to take my test in the Scientology building which was not far from where we were on a different day. It was a written multiple choice test that asked me the same basic questions repeatedly in slightly different guises. In the end, the test showed me to be somewhat critical of other people. He asked me if I thought it a fair assessment, and I did. Then he asked me if I’d like to fix that, and I said, “And I suppose now you’re going to tell me Scientology will help me do that?” He seemed surprised by my question, but yes. That was exactly the deal. For a price his organization would make my life wonderful. I wanted none of it and left. It was my first and thankfully last experience with Scientology. I went back to peppering my friend Dave with my questions about religion and Christianity. Finally he told me he felt inadequate to answer all my questions, but he had a friend who could. Would I like to come over to his house after work to visit with him and his wife Daisy and their friend Orville? For some reason I said yes. When the day came, I remember clearly thinking as I locked the door to my house that “they think they’re going to convert me, but they’re wrong. There’s no way they can prove which view (evolution vs creation) is right or wrong.” I recall feeling quite smug and even amused. Well, the meeting went down as advertised. Dave and Daisy opened their home, provided snacks and drinks and participated in the discussion, though primarily it was Orville and me. I don’t even recall evolution coming up. 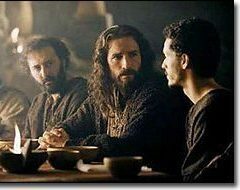 I do recall asking all sorts of questions (like what about the people who have never heard about Jesus?) and for every one Orville would send me to a scripture which I would dutifully read and have NO idea how it correlated with the question! But I would nod as if I did, and he would go on and show me another and another… and I was clueless. And then somehow they got around to the fact that I was a sinner — a fact I struggled with — I had no idea what sin even was and I saw myself as a goody two shoes — despite the earlier encounter with the Scientologist and his assessment of my judgmental mindset. I never once thought that might be a “sin.” Nevertheless I knew I wasn’t perfect, so … maybe I was a sinner… And as such, I needed a Savior who was Jesus Christ, the son of God who died for me and rose again. All I needed to do was believe it. About that time Daisy, who had earlier left the room, returned with the news that she’d called her daughter and family and that all of them were praying for me. And then… the weirdest thing. In an instant I saw Him in my mind. Just a sense. A picture, not anything I’d call a vision, but a mental image of Him coming up over a hill toward me. And suddenly I knew He was REAL and I wanted to know Him. I was willing to do whatever was necessary to accomplish that. If they wanted me to pray the sinner’s prayer, I’d pray it. Which I did, admitting I was a sinner, even though I had no clue what it was. Believing that He was my savior, probably asking Him to come into my life (even though clearly He already had). I went home a changed person. I prayed that same prayer two more times that night, because I wanted to be sure “it took”. And from then on, I couldn’t get enough of the Word. I went to all the church gatherings every week (except the door to door witnessing night… that was much too far out of my comfort zone at the time) I told my mother and my sister and my roommate about Jesus. My sister and my roommate also believed in Him and were baptized when I was (Dave and his friends attended a Baptist Church, so that’s the one I went to). My mother came to church a few times, but later grew angry and wondered what “that church” had given me to make me so weird. I told my boyfriend of two or so years about my salvation and urged him to believe in Christ as well. He regarded me with a sad air of condescension and assured me it was a passing phase I would soon be over. No, it turned out that our relationship was a phase that would soon be over. Like that same night. I went to a weekly Monday night Bible study with my roommate and not long after a new boyfriend (who later became my husband) which Orville taught for new believers. It included a memory verse program oriented around key doctrines of salvation, Jesus as God and 1 John 1:9. He also taught the college students class on Sunday Mornings using Lewis Sperry Chafer’s Major Bible Themes as a textbook. (I still have it in my library). In addition to Monday evening and Sunday morning, we also attended Wednesday evening and Sunday evening. My roommate and I sang in the choir. As for my dedication to the theory of evolution, it was thrown out faster than my old boyfriend. From then on the Word of God was my standard and even if I couldn’t explain just yet why evolution was wrong, I knew that it was, because the Bible said so. I also believe that it’s not the theory that defends itself in its proponents’ eyes, it’s the attitude of the proponent in desiring an “explanation” for everything that doesn’t include God that powers their belief in it. I’ve read their statements purporting as much. Anyway, that’s the day that changed my life literally forever. Thanks for the feedback, Courtney! I’m delighted to know you enjoyed it. Awesome! I am on the el and just read your post heading to work. All hail to the King! Don’t you just LOVE how He meets us when we’re ready? Yeah, and it really shows me how you have to be ready whether you or anyone else knows you are or not. I’ve Moved to My Own Domain!